The game below is an HTML5 (NO download) version of Keno which you can play for FREE, without registering, on your mobile, tablet or desktop. This version of Keno is provided by Fortune Palace, and we've tailored it to give you the same payouts as the Keno featured at our recommended Keno casinos. This free game gives you &dollar;1,000 in play money credits - and as long as you want to practice the game! Once you're familiar with the rules of the game, click here to see all Keno bonuses currently available at our recommended casinos. 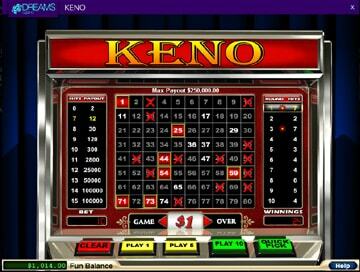 Check out the casinos below for the best Keno games currently available. 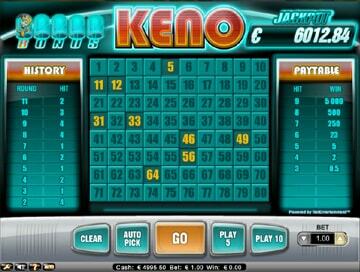 Keno is probably the simplest game in the casino. 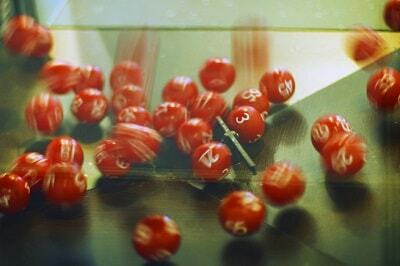 Very similar to Bingo, you just choose a number of spots to bet on, then sit back and wait for the balls to be drawn. The more you match, the more you win! In order to take you from beginner through to expert player, we've put together a comprehensive Keno guide, that tells you everything you need to know. 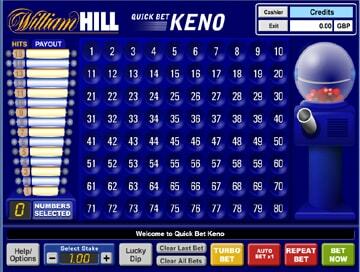 Check out the pages below, which will explain the history and background of Keno, the basic rules, an explanation of the odds and payouts, and suggest a way to devise a winning Keno strategy. 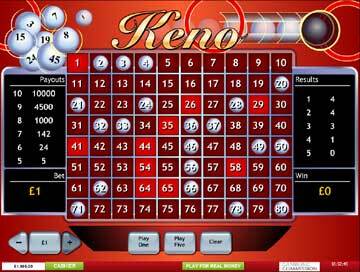 Basic rules and tips for playing Keno. 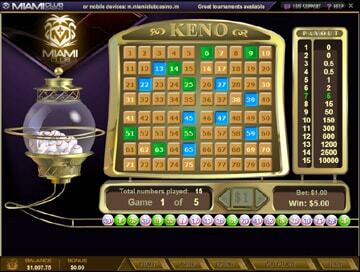 Guide to playing Keno at online casinos, including how many spots to bet on, which numbers to pick, where to play to get a bonus. 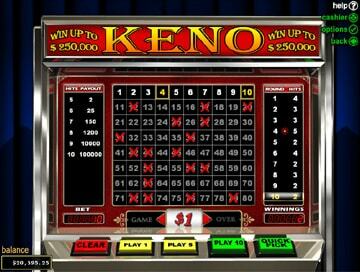 Winning strategies to beat Keno at online casinos, designed for low, medium and high rollers. Keno is essentially a game of chance, so there isn't as much room for employing strategy as there is in, say Sic Bo or Punto Banco / Baccarat. 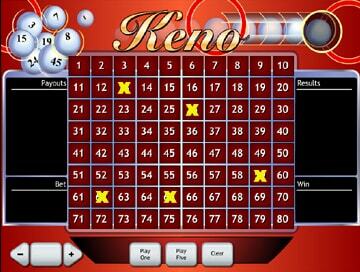 However, there are a couple of factors a Keno player needs to understand in order to improve their chance of winning. What are the chances of winning at Keno? The odds depend on the number of spots you choose and how many of those are matched. However, different online casinos have different payouts, so you should always check to see which casino will give you the best odds - before you start to play.